The Blast Extension and Assembly Program (BEAP) is a computer program that uses a short starting DNA fragment, often a EST or partial gene segment, as "primer", to recursively blast nucleotide databases in an attempt to obtain all sequences that overlaps, directly or indirectly, with the "primer" therefore help to "extend" the length of the original sequence for constructing a "full length" sequence for functional analysis, or at least to obtain neighboring regions of the segment for SNP discovery and linkage disequilibrium analysis. The confidence of assembling the resulting sequences is achieved by using a known genome, such as human genome, as a reference. Click here for more details. BEAP is a Linux/Unix command line program. Basic knowledge about Unix file system (view, edit, copy, transfer, etc) is required in order to use BEAP. The BEAP includes a Java graphical user interface (GUI) that displays the assembled contigs and alignments. The User's Manual is included in the software downloads (below), and also available on line . Pre-request: The BEAP has built in its data pipeline the NCBI blast tools (including blastall, megablast, netblast, etc) and CAP3 as an integral part of the program, therefore they are pre-requires in order to install and run BEAP on the same platform. Download: Click here to download. Installation instructions are included in the download tar ball. James E. Koltes, Zhi-Liang Hu, and James M. Reecy. 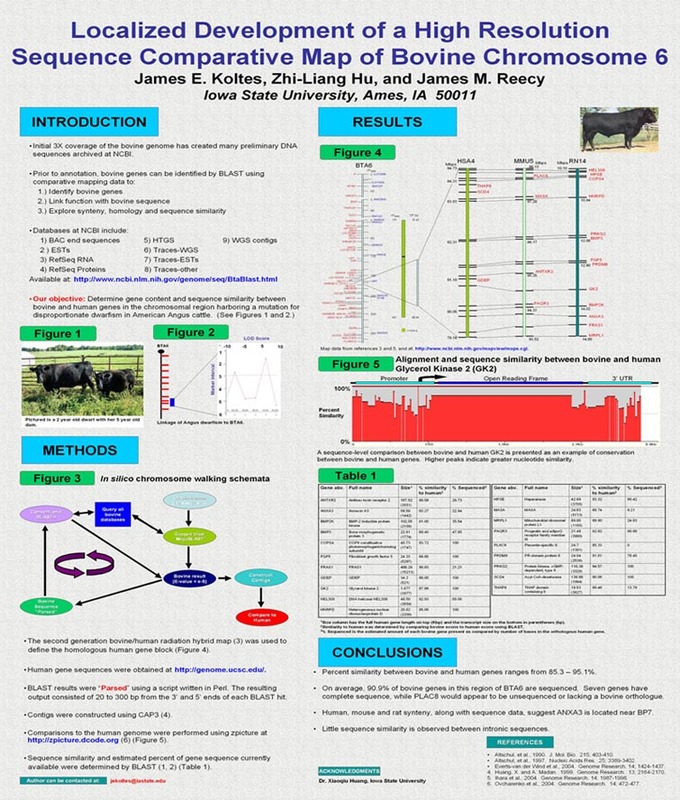 (2005) "Localized Development of a High Resolution Sequence Comparative Map of Bovine Chromosome 6." Plant & Animal Genome XIV Conference, San Diego, CA, January 15-19, 2005. James E. Koltes, Zhi-Liang Hu, Eric Fritz and James M. Reecy (2009). BEAP: The BLAST Extension and Alignment Program  a tool for contig construction and analysis of preliminary genome sequence. ( BMC Research Notes 2009, 2:11 ).